For this weeks theme I've made a quick photomanipulation. It's really easy and when you want to try it once HERE is the link. You have left me with a big smile, Rian, with this gorgeous piece of fun. 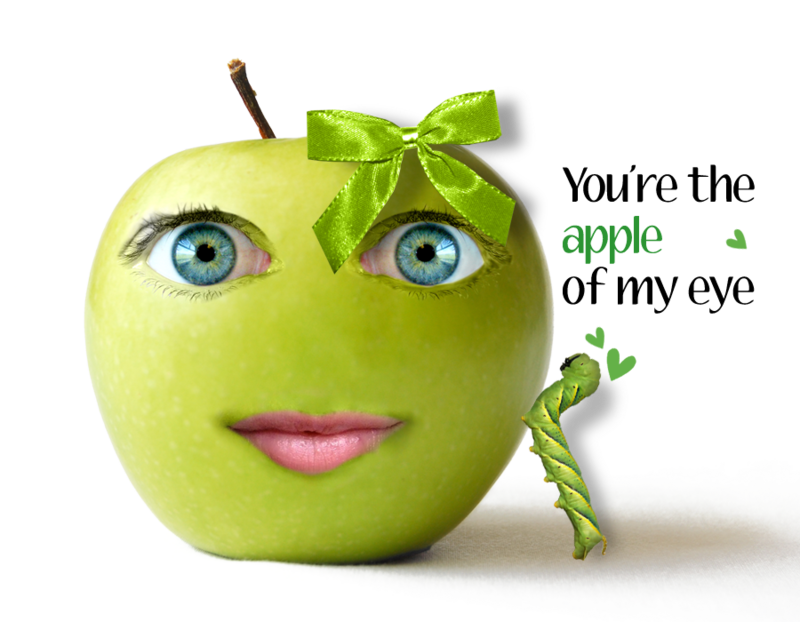 It's good to be the apple of someone's eye. What a great piece- full of fun and whimsy- you are so skilled Rian! LOL Rian, this is fantastic,love it!! Fun piece, Rian, you have brightened an otherwise dull day here, love it! Now... this is quirky, my dear friend....love it!! HA! This is wonderful, Rian. Certainly green, and certainly luscious! 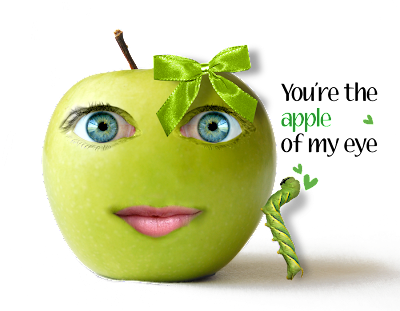 Love your Green challenge artwork. Gorgeous and beautifully created! You make "quick" beautiful, Rian! Funny and absolutely gorgeous Rian. A happy, fun piece and beautifully done! gaaf Rian, als al mijn fruit in de fruitschaal zo happy was,?? Gorgeous idea and so funny love that colorful piece. Schitterend!! Leuke tekst en bedankt voor de link. This is fabulous; I LOVE it, Rian! Hihihi! So well done dear Rian! I'm leaving... posting the third image from your collage sheets. I wish you a lot of fun dear Rian, see you soon & huge hugs! I agree with Chris she is delicious and cute too!